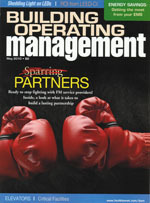 My latest article was the feature article and appeared on the May 2010 cover. I took a very hard look at what partnership is and isn’t as well as what needs to change in the industry. This article on writing effectively for FM made the cover of the January issue. It’s a timely and important issue for Facility Managers who want to be more successful.